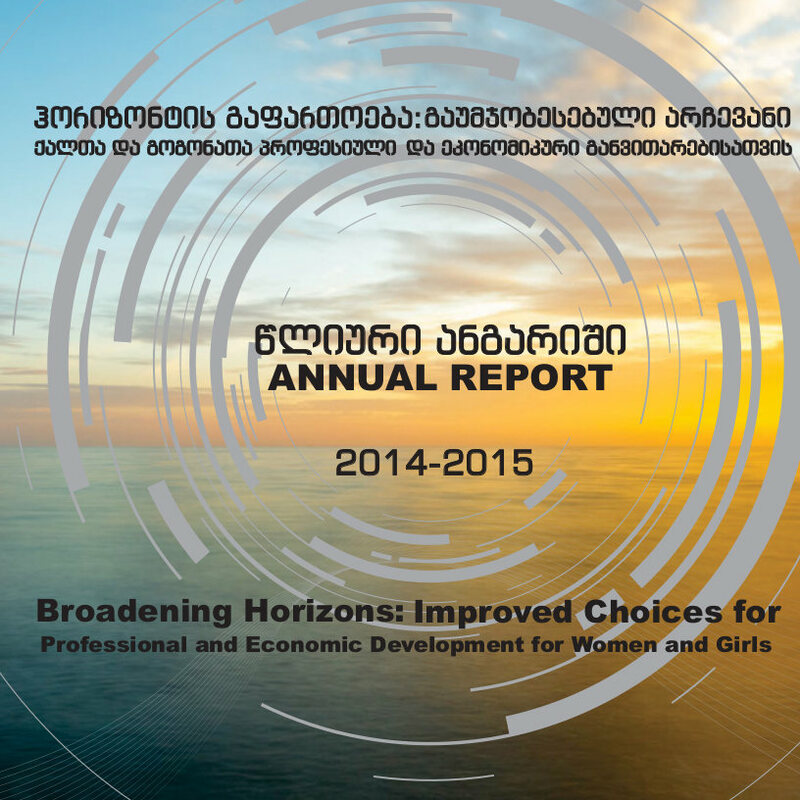 We are very pleased to present this annual report on achievements of the USAID funded program: “Broadening Horizons: Improved Choices for Women and Girls Economic and Professional Development”, implemented by the International Center on Conflict and Negotiation (ICCN-Lead Implementer) and Mercy Corps (MC-Partner). Our program is aimed at improving access to different information sources for women and girls in all 13 municipalities of Kvemo Kartli and Samthskhe-Javakheti regions. In addition to main goals set by the program, the program team is doing its very best to deliver greater results in terms of strengthening and multiplying women's and girls' professional and economic capacity. We hope you will enjoy reading about our collaborative accomplishments over the past year. We are excited about the upcoming activities that will deliver continued capacity-building of target group members. 5 Machabeli Street, Tbilisi 0105, Georgia.